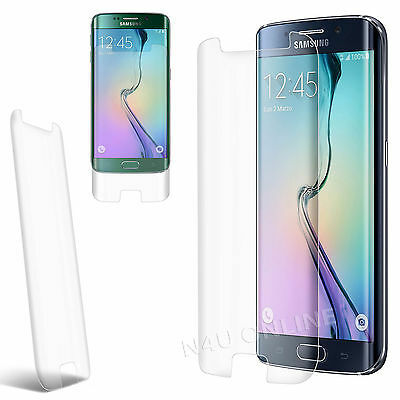 This is the ultimate screen protector for your Phone is made from real TPU Gel protect your LCD from damages and scratches and is reinforced to increase shock absorbency. The screen protector is 0.3mm thick and made with chemically treated TPU Material which is three times stronger than PET film. This is an Exclusive Product which is the one & only that has a perfect fit custom made to the S6 Edge Handset & covers the full screen.